Strengthen your grade 2 students' comprehension and vocabulary skills! 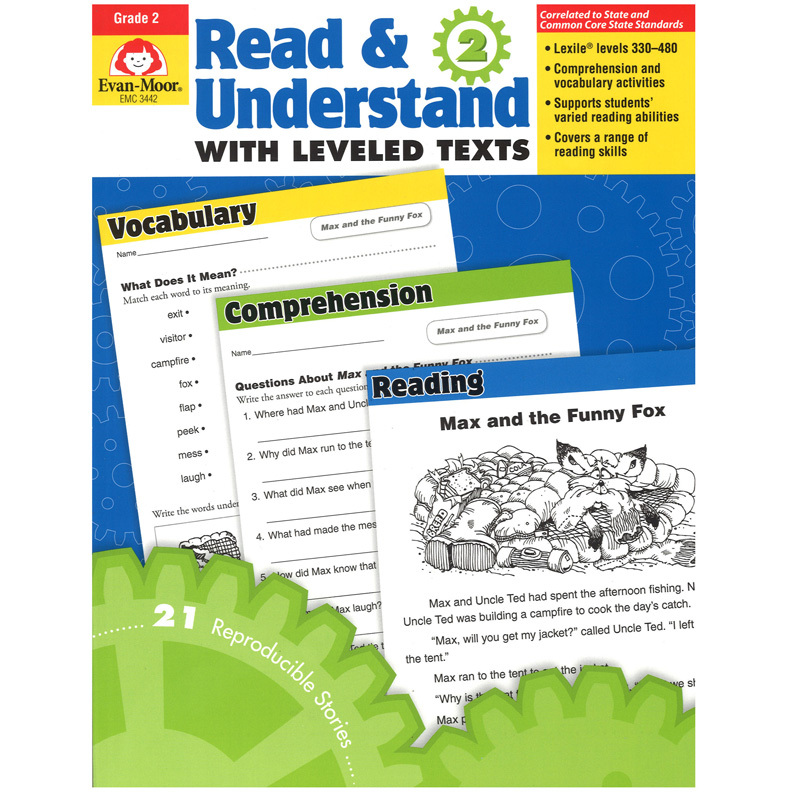 The 25 engaging reading selections in Read & Understand with Leveled Texts, Grade 2 are leveled according to Lexile® criteria, so you can easily match texts to students' abilities. Reading selections cover reading levels 330—480 and are accompanied by follow-up activities for comprehension, vocabulary, and other reading skills.